Peter Gabriel left Genesis with ambitions seemingly as endless as the universe, a quality that is in full, proud display in his debut album, which is aptly titled Peter Gabriel. The songs within can be described as loud, goofy, and pompous... frequently all at the same time. Occasionally, perhaps it gets too goofy for its own good, but I'll save that discussion for later in this review. For now, I will talk about the fact that this album had a genuine hit on it called “Solsbury Hill.” Did Genesis ever have a hit like that while Gabriel was in charge? I hear that song all over the place, not only on the radio, but countless movie trailers. And let me tell you... that song deserves all the attention it gets. The acoustic guitar textures are gentle, sunny, and upbeat, and Peter Gabriel sings its warm melody in a rich and soulful manner. I think we all know that its simple, four-note flute pattern that plays throughout it so memorable that it ingrains itself in our minds. Can you think of it right now? Another entertaining moment is “Modern Love,” which features a heavy electric guitar riff, rockin' electric organs, and a loud, frequently screaming vocal performance. I might not call it “genius” as much as I'd call it a fun time. “Excuse Me” is a bit of a curiosity—it begins as a barbershop quartet before turning itself into a bouncy, Fosse-esque showtune. It's not something I would have ever expected from Gabriel, but all things considered, it's a really good tune. “Humdrum” and “Slowburn” are both bona fide Peter Gabriel classics; they're heavy on the atmosphere and feature memorable melodies. While the creative energy on display in this album is vast, there is more than one occasion when his creativity gets overwrought. These moments all happen to be concentrated in the final three songs, which proves to be a real drag on the album. In “Waiting For the Big One,” he starts out singing smokily to a piano-jazz tune, but then in between verses he brings up these huge power chords that sounds like they belong in some bizarro version of In the Court of the Crimson King. The jazz portion is just fine (if you're into that sort of thing), but the power chords are just way too clumsy and lumbering for my tastes. Such chords might have worked well in another context, but here, it's out of place. “Down the Dolce Vita” is weirdly similar; it's intermittently a bombastic and heavily orchestrated classical piece and a disco-dance song. ...Although unlike “Waiting For the Big One” I actually like both elements separately. The album closer, “Here Comes the Flood” is fortunately a more straightforward piece. The melody is good, but the chorus is rather loud. Gabriel overdubs his voice so many times that it sounds like there's an entire universe of hims singing, which is unsettling to hear after the relatively danker and quieter verses section. ...And speaking of that, couldn't he have found something a little nicer than that low-key electric organ? This isn't a perfect album by a long shot, but it has enough brilliant moments on it that it has managed to earn a somewhat prized position in my CD collection. 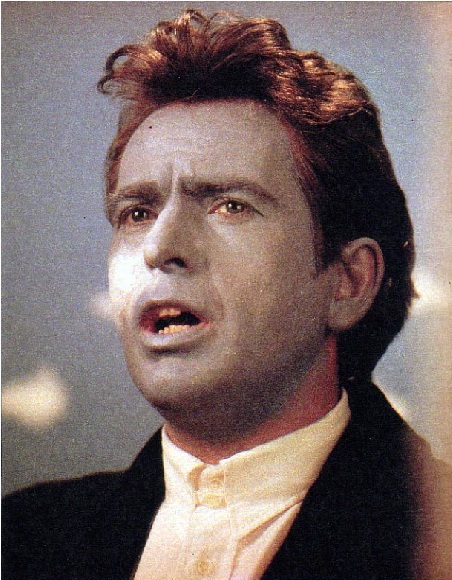 (Truth be told, I worship Peter Gabriel about as much as I could possibly worship any pop star.) Despite my criticisms of it, I do seem to listen to it an awful lot. I usually even make it through the last three songs, so I don't have any problem awarding it a mighty 11. But once I'm through reviewing Peter Gabriel's discography, I think we'll find that this will become one of his lowest ratings. Indeed, it took him awhile to generate momentum. 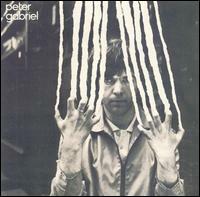 Peter Gabriel's sophomore release is another gas, a supposition that you'll probably agree with that if you're anything like me and have this annoying tendency to worship everything this man ever produced. You might also notice that this album is quite a deviation from his debut in spite of the fact that they share the same name. (Much to the annoyance of his producers and distributors, Gabriel wanted his albums to be like magazine issues and not have separate names.) This sophomore release doesn't quite have those flashy, high-flying Broadway ambitions that his previous album had; this is far more of a poppy and rocking release. However, I'd wager to say that this album fares together slightly better as a whole than the previous album. With that said, there isn't a song here that quite matches the awesome, radio-friendly glory of “Solsbury Hill.” Thus, if you judge albums based on the presence of radio hits, then you'd might as well consider Peter Gabriel (2) to be his worst of all time. Neither of Peter Gabriel's most notable greatest hits collections (Shaking the Tree and Hit) has even a single representative off this album... which kind of does his discography a disservice, because there are a fair number of songs that would've sounded wonderful! My vote of the pack for inclusion would be the beautiful piano ballad “Mother of Violence.” Yes, it wasn't a hit per se, but it's just as good as one; if I were in charge of issuing his compilations, I think it would have been worth bending the rules for that one. Its piano playing is heavily decorated while Gabriel sleepily delivers a memorable and charm-ridden melody. ...I don't think most people tend to single out that song as their favorite, but I do have a soft spot for a well-written piano ballad. Especially that one since I've never quite heard one like that before. “On the Air,” the flashy album opener, is probably the most common highlight of this album for most people—and that's for good reason, because it rules! The heavy electric guitar grooves and excited drumming are excellent back-ups to Gabriel's dramatic and passionate singing. Additionally, the synthesizer textures he creates are tight and nicely hypnotizing. Now, please excuse me if I don't get too excited over Gabriel's synth textures throughout this album, because I know it as a stark fact that he would improve upon them greatly later on in his career. Maybe even revolutionize them. But then again, Gabriel's subsequent albums don't quite rock like this one. Given the relative simplicity of these songs, I wouldn't be surprised if there were people who would consider Peter Gabriel (2) to be one of their personal favorites of his. Not me, but I'm sure there's someone... On the rocking note, “D.I.Y.” is a really fun song with a catchy vocal hook, toe-tapping drumming, and pulsating synth-bass... what more could you ask for? “White Shadow,” for my money, is one of the highlights with its lovely, laid-back textures and a synthesizer that delivers some vaguely Middle Eastern tones. (This must be Gabriel budding at his serious world-music ambitions!) It's a treasure from beginning to end. Unfortunately, the latter half of the album isn't quite as good as the first, but I wouldn't call any of these songs poorly written. “Perspective” is an upbeat rock 'n' roll song with a catchy riff and some Saturday Night Live saxophone that's enjoyable. Surely, I'll take that over anything that Foreigner has ever done, but unfortunately it fails make an extreme impression on me. The medieval flute introduction to “Flotsam and Jetsam” sounds like Gabriel hadn't completely left Genesis mode... and of course that's not a bad thing except for the fact that the song never ever catches fire. Thus, it seems little more than he's treading water. Does it really need to be mentioned? This is one of the greatest albums ever written. I mean, if you went to the record store and selected an album at random, there's a 99.9% chance that it'll be worse than this one. ...Now that's a pretty big statement about an artist whose previous work (Peter Gabriel (1978)) I had somewhat lukewarm comments about. Obviously, there was something that happened in Peter Gabriel to make him go from a mostly good pop-rock musician to a GREAT pop-rock musician! Could it have been his muse, the eagle on the hill? At any rate, Gabriel decided to up the ante with his music. Instead of writing nice pop-rock songs or showtunes, he decided to immerse himself fully in the latest music studio technology where he could experiment with instrumentation, sound effects, and atmosphere. And, I guess because he wanted an audience, he usually put it all to a beat that you can dance to! The atmospheres and moods are done quite effectively. I don't believe I've ever heard a darker and more paranoid pop album than this one. As a matter of fact, this is done so well that—if I were to criticize this album for one thing—it would be that the mood doesn't change throughout its entire course. But that complaint is evidently an insignificant one even to myself; this is one of the most frequently played albums I have in my collection. It's easily in my Top 10 of my most-played album. I don't even have to think hard about that; I probably listen to it at least once every month or two. ...And that's because I like it! In short, this album is awesome from beginning to end. The beginning consists of the evil and menacing “Intruder” in which Gabriel convincingly play-acts the role of a seedy cat burglar. His creepy, growl-whispering of the lyrics is effective enough, but without his diction, these lyrics can send shivers up the spine. (“I know something about opening windows and doors / I know how to move quietly to creep across creaky wooden floors / I know where to find precious things in all your cupboards and drawers / Slipping the clippers / Slipping the clippers through the telephone wires / The sense of isolation inspires / Inspires me”) Without a doubt, that's his finest play-acting performance ever since The Lamb Lies Down on Broadway and perhaps even his whole career. The instrumentation itself is also brilliant in creating that paranoid mood perfectly; those very, very loud and clean drums seem a bit like an overactive heart-beat. The synthesizers, that play a catchy riff, are creepy as hell. Freaking fantastic. The album ends with “Biko,” a much-loved protest song about South Africa. How do we know it's much-loved? Because Joan Baez covered it. Anything she covers is much-loved. It also marks the first occasion of Gabriel taking up world music, which is something that he would never, ever shed himself from. The melody sounds something like an African folk song. It has bagpipes playing wonderfully in the background. (What do bagpipes have to do with South Africa? ...Who cares? They sound cool!! ...Good enough for me!) And thanks to knowledge I gained during the 2010 World Cup, I do believe I hear some vuvuzela blaring about faintly in background. It's is a bit long (clocking in at seven and a half minutes), but it's hypnotizing. Holy crap, I'm getting close to my word limit for album reviews, and I've only discussed two songs so far! Really, there's so much going on in this album that I'd never be able to write down everything about it. Though I will have to mention at some point what's, perhaps, the second best thing about this album: It served as the direct inspiration to Kate Bush. I ask you: how could Never For Ever or The Dreaming have existed without this album? ...And we know it was direct inspiration, because she sings background vocals for two of these songs. You can only hear her sing faintly in that driving and danceable “I Don't Remember,” but most prominently, we hear her singing “Jeux sans frontières” throughout “Games Without Frontiers.” That also happens to be my favorite song of the album, because the melody is so memorable. I mean, that melody engrained itself in my brain the first time I heard it. I also love that playful whistling throughout, which has always made me think of an evil Snow White and the Seven Dwarfs. I doesn't feel like I've even scratched the surface with this album, but I hope you've at least gotten the idea. 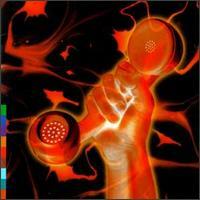 If you get only one Peter Gabriel album, then definitely make it this one. ...That is, unless the only reason you'd ever buy a Peter Gabriel record is for the famous radio classics “In Your Eyes” and “Sledgehammer.” I wonder how John Cusack would've come off romantically holding up a boombox blaring “Intruder” over his head? I'm thinking there must've been a music geek out there somewhere who tried that just to prove to his sweetheart that he has better taste in Peter Gabriel songs than John Cusack. ...OK, I think I just realized why I can never seem to get dates. He also expanded upon that world-music vein of “Biko.” Thus, you can expect a lot of exotic rhythms, atmospheric synthesizers, and heavy singing throughout this. You can hear how awe-inspiring that formula can be right in the opening song, “Rhythm of the Heat.” It starts out quietly with very low-key percussion, which gradually gets louder and busier until it EXPLODES by the end. Most importantly, I hang onto that song for dear life through its entire duration—it's a bit like watching an intense story unfold (that takes place in the jungle). I hear similar percussion tracks as that almost every time I go into a movie theater and watch a trailer. Anytime film composers need dramatic music that uses a lot of heavy, world-beat percussion, I can imagine that they'd put on “Rhythm of the Heat” for inspiration. I mean, there's about as much drama packed into that song as there is in a Francis Ford Coppolla movie. It's no wonder Gabriel would eventually become such a highly sought-after film composer. Now, you can probably understand why so many people have a difficult time swallowing this album. It's the same reason some people have a difficult time swallowing the latter half of “Heroes”. Some people just don't go much for songs that lack a tune you can whistle. I can understand that! I'm much the same way! However, despite this album having a severe lack of catchy pop hooks, I still seem to enjoy following all of Gabriel's dramatic and passionate vocal twists that are interlaced throughout these songs. I mean, how can you turn away from him as he sings to the heavens: “The rhythm has my soooUUUUULLLLL!!!”? Unfortunately, after the album's first two songs are over, much of Security loses its appeal. However, still being a starry-eyed Peter Gabriel fanboy, I can claim that I them all anyway. The third song, “I Have the Touch” tries to be a dance song, but those drum machines are too loud, which unfortunately stifles what could have been another beautifully developed atmosphere. Now, the atmosphere he gives us there is still pretty interesting—you can spend the entire song just listening to everything going on in the background and be entertained, if you want. I also like Gabriel's vocal hooks, especially in the chorus, which is quite memorable. That still doesn't quite save it from being a rather clunky song. “Shock the Monkey” is the album's lone pop-radio classic, and it's a good one! I wouldn't quite put it in the same class as “Sledgehammer,” but it has a catchy hook and a nice dance beat. I also like that he's still uses those world-beat percussion and xylophones throughout it, which means that it fits in quite well with the non-radio stuff in the album. I didn't get around to discussing in detail every song up here in the main narrative of this review, but I hope I gave you the gist of everything! I suppose when it's all said and done, this album is a letdown. You were probably able to tell that immediately by the rather severe downgrade in score—all the way from a 14 to a 12. All the same, a 12 is a huge rating in my book—and 14 ratings are supposed to be sort of once-in-a-lifetime for most artists, anyway. Without any doubt of the matter, Security has a load of great sounds on it. It might not be as great as Peter Gabriel (1980), but I enjoy listening to it the whole way through. ...And way more than I enjoyed his confused first two solo albums. You could tell Gabriel had vision, now, and he knew how to use it. So, you might be asking yourself: “What's the purpose of a Peter Gabriel live album? I mean, he pretty much perfected everything he did in the studio. What could a live album ever bring to the table?” Indeed, those are valid concerns. And correct concerns, as it turns out. I'll go right out and say that there isn't a whole lot of point to owning Play Live unless you're a fanboy who needs to own everything. With that said, one miniscule reason you might want to own this is if you're a huge fan of the surprisingly straightforward (but still awesome) '80s dance-pop tune “I Go Swimming.” It never appeared in studio form in any of his albums, but this live cut somehow became a minor hit. But then you'd be the sort of person who'd buy an album just for one song, wouldn't you? ...Not that I haven't done that before, but it's a practice that isn't highly recommended in this economy—what it is. I certainly count myself in the “starry fanboy” category, so I have not only bought this album, but I actually listen to it from time to time. There are two versions of this album floating out there—the single version and the double album. People who just want “I Go Swimming” should opt for the single disc version. But to everyone else: If you're already intent on buying a useless album, then you should go for the whole enchilada. These songs (taken mostly from Peter Gabriel (1980) and Security) are very much like their studio counterparts, except with a few things missing. For example, there's no saxophone blaring out during the crescendo of “Family Snapshot.” There's also no evil whisper-singing during “Intruder.” And where are those flutes on “Solsbury Hill?” As a whole, I'd say these versions were thinner and more streamlined, which made it easier for all the kids in the audience to dance to. Even though I'd call most of these live versions inferior to their studio counterparts, there are some surprisingly accurate renditions here. “San Jacinto,” my favorite moment of Security, still has all those tight xylophone-synthesizer textures interspersed throughout. Furthermore, that point in the middle when Gabriel sounds like he's singing straight to the heavens is exactly as powerful as it was in the studio album. “Rhythm of the Heat” is also beautifully recreated—loud, tribal drumming and all. That's the first song on the album, and based on the audience noise, he must have been doing something extremely exciting. ...Man, I wish I was watching it on DVD! I like this live version of “I Have the Touch” much more than the studio version, because the drum machines aren't so damn loud, and I can finally start to enjoy all those words and notes that Gabriel is singing. 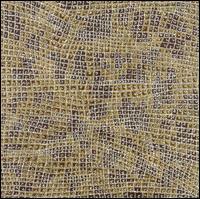 The rhythms he concocts for it is also rather intricate and very easy to get immersed in. ...I almost hate to say this, but it sounds a bit like one of those drum machine rhythms Phil Collins would've put on a Genesis record around that era. But that's a compliment! Based on the huge reaction it gets from the audience, “Shock the Monkey” must've been the song of the hour. Of course, this live rendition is a hugely danceable and extremely catchy bit of mayhem. Gabriel even lets the audience sing along with him at the end, which—I'll say—is one of those things I like hearing best in live albums the most, in those rare occasions that I do. I suppose there's some rumor that Gabriel touched up these live performances before releasing this. Surely, I would rather hear what the concerts were actually like... But I'd imagine Gabriel didn't touch this up too badly. I still hear the cheers of his gleeful audience quite prominently in the speakers. Ah well, this album is what it is, and it's quite a lot of fun. 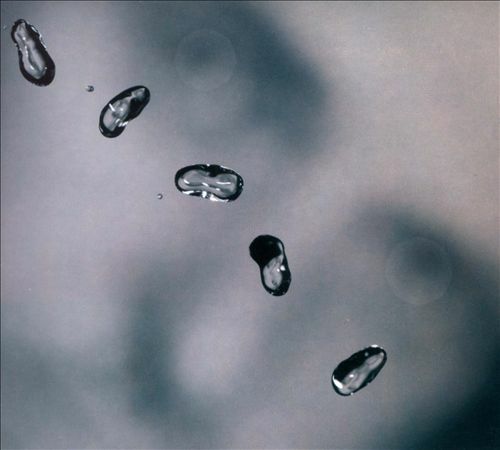 Peter Gabriel's previous two albums, III and Security were so moody and atmospheric that they were turned into some remarkably effective music videos. As it turns out, many of those songs also made effective incidental music for a movie; Gabriel reworked some of those songs and wrote a few originals for inclusion in a movie called Birdy, which was directed by Alan Parker and starring Matthew Modine and Nicolas Cage. The movie is excellent. It's been more than five years since I've seen it, but it still lingers with me. The soundtrack is atmospheric and dark, which fit the mood of the movie perfectly, which is about a Vietnam veteran who suffers a rather intense bout of post-war syndrome. My only complaint about the soundtrack was that I knew those Peter Gabriel songs so well at the time that I found it a bit distracting. In particular, I distinctly remember hearing the chords of “Family Snapshot” pipe up and then losing track of what was going on in the movie. (What? Is that “Family Snapshot” playing?) However, I'm not reviewing the movie, am I? As far as soundtrack records go, this is one of the better ones that you can get. And don't forgo purchasing this just because Gabriel recycled a few songs from his previous two albums; the originals are more numerous, and the recycled ones are different enough that they're practically new. “The Heat” is the reworking of “Rhythm of the Heat,” and it's much more eerie than the original, but just as wild. Perhaps it sounds even more world-beat than the original did, especially with that extended percussion that seems to get crazier and flashier by the end. It's surprisingly easy to take, even for someone like me who loves Gabriel's singing voice and has a great potential for missing it. The most important thing I can say about Birdy is that it's extremely consistent. The opening track, “At Night,” draws me in with its thick atmosphere and lonely spookiness, and after that never—for one second—does it let up. Sometimes that would be a bad thing, since albums that never change modes throughout run the risk of getting boring. However, Gabriel cleverly stayed clear of that hurdle by always letting the songs' textures evolve. Occasionally, he's playing wavy synthesizer chords that sound like some freaky planetarium show, but other times he lets a drum machine groove take over the show. 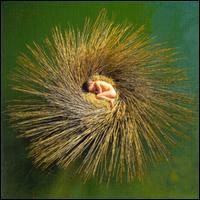 “Slow Marimbas” has a very honest title, and those marimbas sound like rain pattering on the glass of a window. It's spooky and dark, for sure, but there's also a lot of intense beauty in it. Sort of like if you're outside on a dark and cloudy day and it suddenly dawns on you that the scenery is beautiful. (I live in Seattle, so it's good for me to think that sometimes. Otherwise, I'd just be depressed for half the year!) “Powerhouse at the Foot of the Mountain” is the reworking of “San Jacinto.” But the only part of the song that was reworked was the spooky coda, which you might remember featured synthesizers that sounded like out-of-whack wind chimes. In the end, no matter how beautiful, dark, and moody this is, it is just a soundtrack album. Not a lot of people I know of particularly like soundtrack albums. Moreover, Gabriel's probably more famous for doing The Last Temptation of Christ, and a lot of listeners probably consider Birdy to be weaker. (And I agree with that. No matter how good Birdy is, it doesn't come close to matching the sheer intensity and artistic prowess of that album.) Nevertheless, it comes remarkably close to it, and thus I would also highly recommend it for your collection. I mean, this album was so consistent that I ended up giving all the tracks solid A's across the board. ...It's possible that I was being a little bit nice to it, but heck! Didn't I say that Gabriel created a particular mood right at the beginning and basically stuck to it solidly until the end? Where exactly was I supposed to start marking it down? 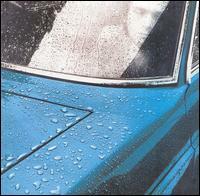 However, fans who have stuck with Peter Gabriel for his whole career tend to consider this his very worst album. They'll say So was a sell-out of epic proportions in which Gabriel completely abandoned his artistic principles in favor of quick 'n' easy payola. And there is a lot of truth to that. For the first time in his career, Gabriel aimed to make songs with the expressed purpose of getting massive airplay on the radio. And considering how often I still hear “Sledgehammer” being played 25 years later, I'd say his master-plan was a great big success. However, was there anything easy about making So? It doesn't come off nearly as much of a cohesive piece of art as—say—Security, but it's not that much of a stretch to assume that a lot of blood and sweat went into making it. “Sledgehammer” is fantastic song. Its heavy horn groove is infectious, and Gabriel's vocals are loud, bright and bubbly. Haven't you seen the music video? It's probably my favorite music video of all time—not only because of the visual invention, but it also looks exactly like the song sounds. Frequently, watching a music video of a song I've known for a long time ends up soiling the imaginary pictures I had of it. Not in that case! ...And of course that song is a total sell-out—it's radio friendly to its core. It's totally danceable, the production is polished and sparkly, and the female back-up singers give it that fake-soul gleam that was so common in the '80s. It's purely yuppie fodder, but it's awesome. For my money “Red Rain” is even better than that. You won't want to dance to it probably, but it's gotta be one of the BIGGEST songs ever written. If you listen to it, you'd think Peter Gabriel was a sky god or something who was able to make songs sound like the place he lived. The echo-effect on the drum machines are dazzling, and I love those HUGE synthesizers I hear in the background. 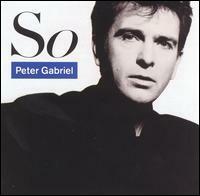 But the aspect that makes the song SO HUGE is Peter Gabriel's heavy and soul-filled vocals. It sounds like he's singing about the grandest thing in the universe with the chorus. (“Red rain is pouring down / Pouring down all over me.”) It's so easy to get caught up in that song that I'm sure many-a-people can't stop themselves from putting it in their car stereos and try to bellow along with it. The other two iconic songs I mentioned before aren't quite so spectacular. “Big Time” is a lot like “Sledgehammer” except without the infectious horn riff. Of course I still like the song—it's catchy—but how can it not pale in comparison? “In Your Eyes” is a nice, romantic ballad. Probably most notable as the song that was blaring out of the boombox that John Cusack was holding over his head. It's an OK song, but I don't find the melody too special and the '80s production standards are somewhat generic. ...Not that I mind generic '80s music, but up until now, Peter Gabriel had been setting the trends! But I guess that doesn't necessarily mean “In Your Eyes” is a bad song. It's just fine. What really disappoints me is that duet between Gabriel and Kate Bush in “Don't Give Up.” Separately, they're my two favorite singers on the planet. So why—when they came together—did they create such a bland, barren wasteland of a song? It's like contemporary gospel, or something, with synthesizers and an “uplifting” piano. Now, Gabriel has a pretty good voice for gospel. Kate Bush could make it work also. BUT WHY DO THEY SOUND SO BORING AT IT??? If I want to listen to a song like that, I'd put on Michael McDonald or something. ...And if this were on a Michael McDonald album, I'd say it'd likely be the best thing on it. For this album, it's boring. There are other songs on here and they're all quite good. You can read about them in the track reviews, if you want! I'll close this review by mentioning that when I reviewed this album before, I had a much lower opinion of it. However, these days, I've come to at least mildly like all of these songs. (Even “Don't Give Up,” I at least mildly like. I have to recognize that whenever I listen to So, which is relatively frequent, I never want to press the skip button anywhere.) And, most importantly, when this album cooks, IT COOKS. Just listen to its first two songs for proof! After Peter Gabriel's soundtrack to Birdy was such a success, I suppose he must have been a pretty hot commodity among soundtrack composers. However, considering Gabriel still had a POP career to think about and he was a bit of a perfectionist (I assume also he preferred to work alone), his soundtrack albums are going to be few and far between! Although if I came up with an instrumental album like Birdy one year and then followed it up with Passion five years later (and a massively loved pop album in between like So), I think I would be able to die happy. Unfortunately, I don't have much musical ambition, so I hope continuing to Blog like this would be enough! But wow! Is this thing fantastic or what? I'm already somewhat a fan of soundtrack albums (they got me though those hours-and-hours of grueling assignments in engineering school—I can never forget that). And among all of them, this is one of the finest I've ever heard. Some people might complain that soundtrack albums contain too much ambient music. I won't lie; there's a lot of ambient music in Passion. However, who said ambient music couldn't be constantly mystical and exciting? Peter Gabriel didn't seem to think so! To sum it up, this album contains walls of heavy and atmospheric synthesizers along with all these bendy, exotic violins and woodwinds. (Oh, I went to school and learned about Beethoven and things. I have no idea what the technical term for those Middle Eastern instruments. Thus, in this review, they will have to remain being called inappropriately bendy violins and woodwinds.) If there's one thing that's true about this album, it's that it's not repetitive. Surely, many of the tracks contain similar atmospheres and ideas, but the textures and moods always seem to be shifting around. One track might be a wild, drum heavy piece with a whole lot of tribal chanting. The next track would be a quiet and mystical piece with thick and heavy synthesizers. All 21 of these tracks meld together so smoothly that sometimes I can barely even notice where one track begins and the other ends. So, in essence, this is really like one long 66-minute instrumental that goes all over the place. A few other tracks seem almost European. I suppose some of the characters in the film were Roman (one of whom was was played by none other than my good buddy David Bowie). “With This Love” is one especially gorgeous track with a flowing oboe melody and a Baroque chord progression. He brings that track back again, later in the album, with a children's choir, and it's utterly haunting. At the very end of the soundtrack, there's a piece called “It is Accomplished,” where I get the feeling that Gabriel was wanting badly to start belting out one of his pop songs! (I can almost swear I hear his voice verrrry faintly coming in at the end.) It features a poppy chord progression and some sparkly stadium drums. It's also one of the few upbeat numbers here. Well, it's nice that the movie had a happy ending, I suppose! Well, Jesus died for all our sins, didn't he? Can I think of a better occasion to hear Peter Gabriel sing a hearty tune? I did strongly consider giving this a 13, and it very nearly happened. What stopped me was that there just wasn't a singular awe-inspiring moment in here. I can listen to this whole thing and be in a remarkable trance and I can be dazzled at the amazing amount of textures that he packed into what seems like an extremely short 66 minutes. However, I also can't say that there's any singular moment that I look forward to. I never felt even once compelled to give a track an A+. That's a bit weird for a Peter Gabriel album, isn't it? Nevertheless, if you're looking for an unusual soundtrack album that you can get lost in, then Passion is a pretty good pick for you. 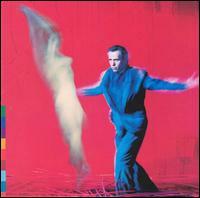 This was Peter Gabriel's first pop album since 1986's So, which must have been hell on his fans. (Of course I have to endure longer waits for my favorite musicians to release new albums, but such behavior is normal for a 21st Century dweller.) Anyway, what a cool album this is! It's not as immediately accessible as So, so if you're expecting something chock-full of pop-radio numbers, then you're in for a bit of a disappointment. To describe Us, it is like So seen through the eyes of Passion, his 1989 soundtrack. At the same time, there are quite a bit of slickly arranged pop songs in here that I think So fans would be able to embrace easily. There's “Steam,” which is in the same vein as “Sledgehammer.” Some might call it a 'clone.' Others would call it an 'improvement.' I call it 'awesome,' because the groove makes me tap my foot most agreeably and the vocal melody is catchy as all hell. It goes on for six full minutes, and I'm hardly ready for it to end. Another great 'pop' moment is “Digging in the Dirt,” which isn't exactly danceable, but its melody is brilliant, and I love soaking up all those complex textures he keeps throwing at us. (I don't know what that is at the beginning of the song, but it sounds like a programmed bass-synth, which sounds remarkably classy.) What I like most about the song is that even though most of it is quite tense with lyrics that deal with some murky emotions, it breaks into a pastoral chorus that makes me feel like I'm watching a helium balloon floating through the air. The transition between the two sections is utterly flawless. “Kiss That Frog” is the album's third-most poppy song, and it's probably the worst of the three. Nevertheless, it's still pretty cool; the melody is catchy, and it has some pretty cool fuzz guitar incorporated into its groove. The other songs seem more like they were meant to be atmospheric and ethereal, and let me be the 142,349th person to comment that he has accomplished this brilliantly. The opening track, “Come Talk to Me” right away gives us an involved tribal rhythm while a bagpipe blares in the background. ...Yes, tribal drums and bagpipes turned out to be a remarkably cool fit! And just because I said the main appeal of these songs are its textures, it doesn't mean the vocal melody isn't enticing. It is. Enough that I've been known to sing along with it in the car. I'll admit, it took me awhile to actually get into this album because so many of its songs are slowly paced, but after I learned to just sit back and soak in the atmosphere like soaking hot water in the bath tub, I enjoyed this album exponentially more. “Blood of Eden” is another work of beauty with lovely back-up vocals from Sinead O'Connor. If you have any doubts that Gabriel used his prior work in Passion as inspiration for this work, then listen to that bending Middle-eastern stringed instrument and the beginning of “Fourteen Black Paintings.” ...That track, while not one of the more memorable moments here, continues to be fascinating if you choose to pay close attention and study it. The final song is “Secret World,” which sounds exactly like the title. The background textures are exotic indeed. But helping keep the experience punchy is its drum machine pattern and those bass textures, which are as well-programmed as ever. But anyway. There's one song here I like a little more than I did in Us, and that is “Kiss That Frog.” The percussion seems far more pleasant to me, and Gabriel himself supplements it with a pretty mean harmonica. Another song I like more than the studio cut is the penultimate “Don't Give Up.” It doesn't seem quite as lumbering, bland and heavy handed. On that same token, though, the song continues to be one of Gabriel's least remarkable, and thus such minor improvements weren't enough to help elevate it higher than the rest. The album ends with “In Your Eyes,” which is nearly botched. The original was nice enough as a pop ballad, but here it's extended past 11 minutes and filled mostly with sparse and relatively uninteresting percussive textures. But at least all the other hits are great. “Red Rain” is positively glorious. “Sledgehammer” is fun. “Steam” makes me want to dance. “Digging in the Dirt” is as infectious as ever. “Solsbury Hill” is laid-back and sweet. “Come Talk To Me” proved to be an excellent way to open the show, coming in with a gradual build-up featuring those washy synthesizers and a bagpipe. “Secret World” is utterly beautiful, as you might have expected, and constitutes one of the highlights of the show for sure. Have I talked about enough of the songs? I suppose the only person legitimately interested in purchasing this album already knows the songs by heart. 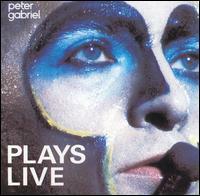 I mean nobody only listens to Peter Gabriel's live albums, do they? As with all live albums, there's audience noise, as there should be, but they're mixed in quietly enough that they don't get in the way. So studio-supplemented or not, this is an altogether good live album. If you want to get a feel for his 1993 tour, then this is the place to do it. 12/15. This was also released as a concert video, which I hope to watch some day! Here's the weird thing about late-career Peter Gabriel: He released far more side-albums than albums. Does that make sense? Not really, but that's how it goes. OVO generally isn't considered part of his major discography; rather, this is the soundtrack of a show he wrote for the inaugural celebration of London's Millennium Dome. The soundtrack contains 62-minutes worth of original, brand new songs written by Peter Gabriel, all of which centered around a story that seemed to be about all sorts of things. I wouldn't bother trying to repeat the story for you now since I doubt I could do it justice, and understanding it isn't necessarily fundamental to enjoying the individual songs. I'll also give you a warning that there are plenty of atmospheric, Eno-like instrumentals situated throughout this piece. I mean, I love that stuff, so this album is just my ticket. The second song, “Low Light,” for instance is a six-minute long track that's mostly instrumental and is quite somber and atmospheric. It starts out with a thick, drawn-out synthesizer chords, which could be expressing what it's like being alone on a lonely planet for all I know, but then some life pops into it thanks to the rich sounds of a string quartet, which eventually becomes accompanied with a voice. Who is this voice? An Irish singer named Iarla O Lionaird. Gabriel doesn't sing a whole lot on this album, which is a shame, because he has such a rare voice; however, his guest singers are well-chosen regardless. The penultimate track, “The Nest That Sailed the Sky” is an instrumental similar in spirit: It's slow moving but majestic and is the sort of thing that makes you think of gazing at mountains or what it might be like to ascend to Heaven. The female guest-vocalist Elizabeth Fraser can be heard singing the chorus of “The Time of the Turning,” who was a member of The Cocteau Twins, and veteran folk singer Richie Havens sings the lead. However, I'd still say the background arrangements were the star, consisting of beautifully textured acoustic guitars strumming amongst haunting and welling synthesizers. The vocal theme is revisited briefly once again in “The Time of Turning (Reprise)” except it rather quickly turns into... er... Riverdance! Now, who among you doesn't like thunderous Celtic music? 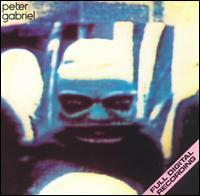 Naturally, we're listening to Peter Gabriel, so you can also expect quite a lot of mysticism infused in the mix also. And this is the kind of mysticism that is the stuff that inspires me to explore my surroundings! This album as a whole is also very theatrical, much closer to a stage musical than it is to a pop album. Even though I've never seen the actual production, it's amazing how much think I don't need to. Gabriel might not sing a whole lot here, but he does take lead vocals for what's clearly the best song of the album: “Father, Son.” I'm going to lose one of my man-cards admitting that I recently had to stop playing this album at work, because it was making me tear up. It reminds me quite a lot of a somber ballad by Randy Newman, and it's equally as good as one. The main instrument is a sparsely played piano, welling strings and woodwinds that are wonderfully orchestrated, and gut-wrenching lyrics about a man who lives to regret how far he'd grown apart from his father. Gabriel also sings in “The Tower That Ate People,” which is far more characteristic of Us except it's much less subdued. Maybe that's the ultimate reason I prefer Us over OVO. The 10-minute epic “Make Tomorrow” as well as “Downside-Up,” are perhaps like theatrical versions of Us and both predominantly feature the vocals talents of Paul Buchanan from the Blue Nile. I guess if we couldn't have Peter Gabriel's voice 100% through this record, Paul Buchanan isn't exactly a shabby substitute. Maybe the weirdest thing about this album is the opening track, which is a rap. Have you ever thought you'd hear rap on a Peter Gabriel album? Truth be told, I like that strange, wobbly background groove Gabriel created that uses these strange, buzzy synthesizers and percussion, which gives me the distinct impression that I've somehow landed in the middle of a pond among bull-frogs and dragonflies that are singing a funny groove at me. No doubt, the effect is quizzical and fascinating. We're given the chance to hear the groove purely as an instrumental in “The Man Who Loved the Earth” and I like it better there. Another reason I like that track better is because it escalates into a dramatic, frenzied portion called “The Hand That Sold Shadows,” which brings about one of the most exciting and dense world-beat/tribal percussion sections that I have ever heard! That's the way to bring in the millennium, my friends. I'll close this excessively long review by stating what ought to be obvious by now: I'm a huge admirer of OVO, and I consider it quite a fascinating work of art. 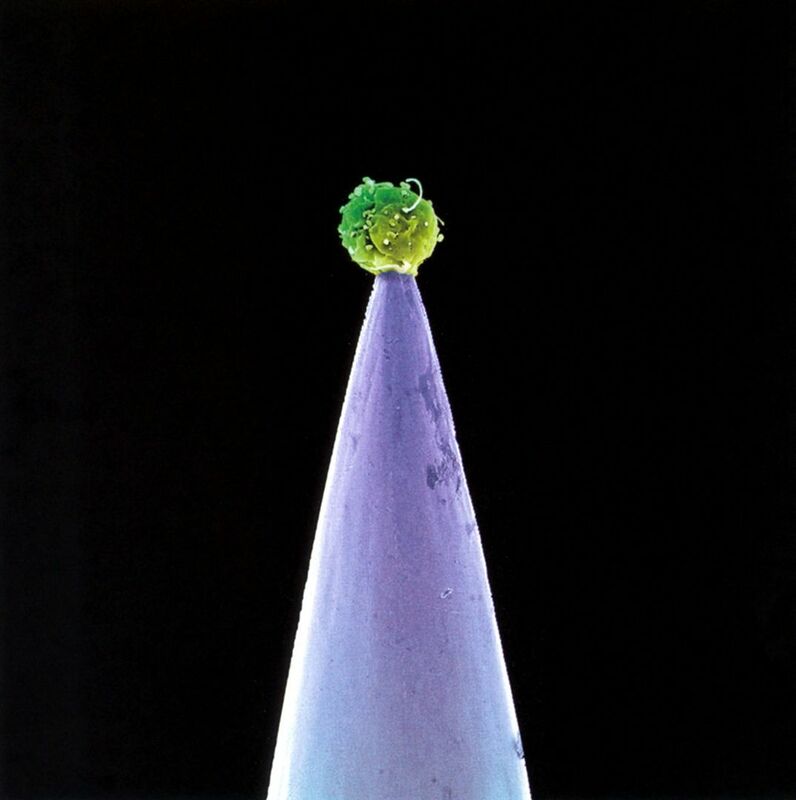 Don't feel too poorly if this is one of the final Peter Gabriel albums you decide to purchase for your collection--I know it was among my final ones. However, the moment I heard it, I wished I hadn't waited so long. Consider this a high 12/15. I wonder what hoops one would have to go through to get Peter Gabriel to write a soundtrack for you? I would understand him agreeing to write a soundtrack for a great figure like Martin Scorsese or for a highly prestigious event like the debut of the Millennium Dome, but what there was about Rabbit-Proof Fence that attracted him to it? (Or maybe I should get off my fanboy mentality and stop assuming every one in the world thinks this man poops gold.) I did see this movie when it arrived in theaters and it was quite good but not an especially encapsulating one for me. I know the history they presented in the movie needed to be told, at least. It was about the Australian government removing Aboriginal children from their families, forcing them into reeducation camps. Two of these children escape and follow a rabbit-proof fence for days, pursued by an evil white guy, back to their families. But I'm here to talk about the soundtrack to the movie, and it is excellent. Although I'd place it a rung beneath his other soundtrack albums for various reasons. (The main reason being that I simply don't like it as much!) However, if you've loved those, then this one's also a must to have. Long Walk Home is filled to the brim with terrific, occasionally very haunting, and extremely immersible atmospheres. A lot of it reminds me of playing those Myst computer games all those years ago, and one of the more encapsulating aspects about them were the fluid-like, ambient sounds permeating through my speakers as I played them. The main difference is that this music is much better written! Oh and Gabriel's mastery of sound-effects are legendary, of course. I mean, just listen to the opening song, “Jigalong,” and if you like high-tech/ambient music, it'll most likely blow your mind. When it starts out, I hear a sea of mechanical crickets or frogs and what must be the wind howling through hollow trees. Then, a few acoustic guitars start to play quiet notes before a drum beat pipes in. Toward the end, we get some strings playing a few sweeping notes, which gives it this tremendously epic aura to it. Also if you listen closely to it, you'll hear all sorts of sonic booms in the distance and “world-beat” samples of people singing. I almost want to consider this album one entire piece, since I only barely notice the fade-outs/fade-ins between tracks. I do have a favorite moment, though. It's called “Running in the Rain,” which starts out as a subdued, quiet piece with drums pounding away irregularly in the background and prolonged synthesizer chords. I also hear what must be some sort of didgeridoo playing. (This does sound far more like OVO than it does, really, Australian music, but he does throw some strong Australian hints here and there.) BUT then those synths get louder and an awesome tribal rhythm begins to play... and whoah! Crescendo! Gabriel-era Genesis songs used to crescendo like nobody's business, but they never did it THAT much. And well, it's just a majestic thing to behold. I can't remember the scene of the movie that went along with that music, but it must've been an important moment. Another especially cool moment is “Ngankarrparni (Sky Blue – Reprise).” “Sky Blue” is the name of a song that would be released in his long-awaited Up only a few months after the release of the soundtrack. I might argue that this version is better--despite the fact it doesn't have Gabriel's voice on it--because it starts out with these very spooky tribal chants, and the “piano-pop” portion seems more uplifting to me. The theme come back around for another go in “Cloudless,” the closing song, which features what I assume is a genuine Aboriginal singer. Well--like every Peter Gabriel album I review--I always seem like I've only scratched the surface and only talked about 1/10th of the things I could have talked about. (And maybe 1/5th of the things I should have talked about.) But I'm not here to write dissertations! I only hope that I've inspired you to give this album a listen, if you are so inclined. I'll supplement my 12/15 with the disclaimer that I actually enjoy listening to movie soundtracks (especially in my college days--it was great study music). If you want a soundtrack album--especially with a heavy world-beat slant to it--you almost couldn't do better than this. If the brevity of the titles are any indication, this is Peter Gabriel's direct sequel to Us, and the man certainly took his sweet time coming out with it. Probably the thing to note about the record is that Gabriel modernized his sound such that this rather resembles the style of Soft Bulletin-era Flaming Lips. I mean, listen to “My Head Sounds Like That” and try your best to forget that Soft Bulletin exists. Naturally, we should never say that Gabriel can't make music like this since he was the one of the pioneers who helped inspire this style, after all. And furthermore, his production abilities continues to be amazingly top-notch. Surely, if you were going to make a list of all the best produced albums of 2002, it would be a grave injustice if this album didn't make it. With that said, I'm a little disappointed over the level of songwriting here. While most of these songs are good, I'm used to Gabriel's albums being loaded with at least one gem or two. Here, unfortunately, I can't say there's much in that department. It's for that reason that even though I've owned this album for years (I bought it only a year or so after it was released), I don't find a whole lot of occasion to listen to it. “The Barry Williams Show” was the lead single. It starts off sounding like “Games Without Frontiers” but quickly turns into a dance-pop track reminiscent of “Digging in the Dirt.” However, unlike “Digging in the Dirt,” it doesn't quite draw me into its trance. It's also been said by many listeners that it also sounds like it came out of the mid-'90s, which certainly goes to show how dangerous it is to wait so long to release albums! (Also the fact that this thing took him 10 years ought to indicate that he was just a wee bit unfocused.) While the song might be dated, and it's probably my least favorite thing here, I don't think actually think it's terrible at all; the groovy drum-rhythm, all sorts of buzzing sounds, and creepy synthesizers are all quite intricate. Clearly a lot of blood, sweat and tears went into its creation. There just wasn't much inspiration. “More Than This” is another dance-pop track and unfortunately not a Roxy Music cover. It's also amazingly produced with all sorts of complicated percussion rhythms you can dance to and synthesizers bubbling out all over the place, but it isn't as infectious as I would have liked. It's pretty obvious to me that he was more interested in playing around with synthesizers and innovating with synthetic drum rhythms than he was creating a great deal of interesting vocal hooks. That still shouldn't be an excuse for this album, though: he had the same philosophy when he made Security, but somehow those vocal melodies have managed to engage me quite amazingly over the years. “I Grieve” somehow became associated with 9/11, and I suppose it was appropriate enough for that. My beef with it is that it takes about eight billion years before we finally get to the part where Gabriel belts out the soul-piercing wail: “I griiieeeeeeeeeeeeeve.” Now, it's definitely true to a certain extent that there should be some build-up in order to make such moments more effective; however, if you take too long for the build-up you risk putting your audience to sleep. The last half of that track becomes a bit of a dance groove, and that was a good idea to change things up a bit, but it's not a particularly infectious dance groove. “Signal to Noise” is an OK cinematic piece with densely orchestrated strings, and dramatic drums. But, once again, it takes way too long for its to reach its huge climax, and I get a little bit distracted with this weird guy singing throughout what sounds like tongues. ...And then I feel bad about myself for calling him “weird,” because the man was Pakistani vocalist Nusrat Fateh Ali Khan who sported a six-octave vocal range and died five years before the album's release. He was one of the greatest singers ever recorded, according to Master Wikipedia, but I'm not sure this was such a fitting showcase for him. I should probably mention somewhere that the best song on here is “Growing Up,” which is another dance track, but this time the melody is far more infectious. Also, the atmosphere is heavy, and it's kind of amazing hearing all these sounds he managed to pack into it. 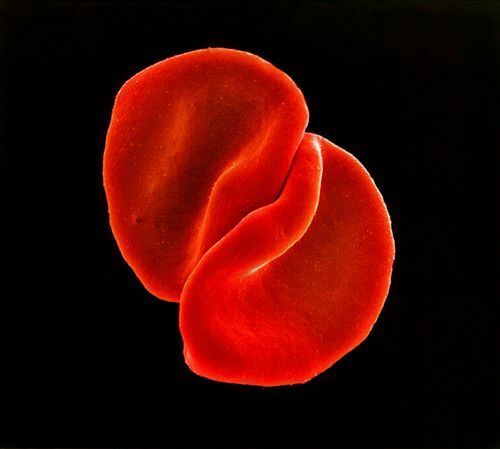 ...Even though this Peter Gabriel album is one I listen to about the least, it's enjoyable enough in its own right to deserve a 11/15. But I'll supplement that by saying that I'm disappointed that I'm hearing his inspiration starting to slip away! This album isn't considered part of Peter Gabriel's discography, but it should nevertheless be discussed as though it were part of it. I say this without hesitation: This is one of the finest musical projects he's ever been associated with. This was also another example of Gabriel taking FOREVER to release an album as most of this material was recorded sometime between 1992 and 1995. As you could tell from the release date up there, it wasn't until 2008 that it finally got its day in the sun. He said that this material needed to age like a fine wine... I'd normally like to call B.S. on a statement like that, but considering how good this album is, I won't question him. 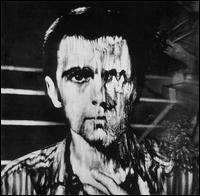 Peter Gabriel's music has always been a sort of potpourri of music found all over the world. In this album, Gabriel takes that a step further: He actually collaborates with musicians found all over the world. 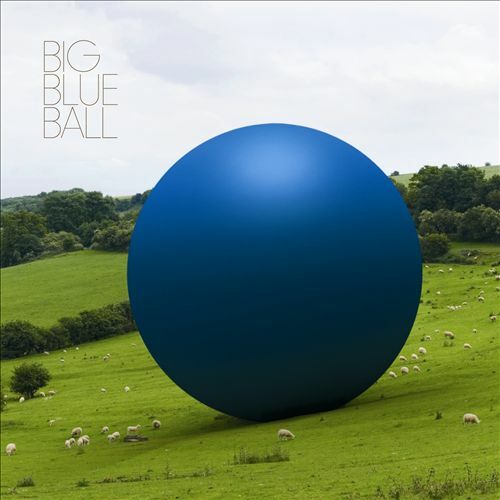 This collective is known as Big Blue Ball, which is another name for (three guesses?) Planet Earth. Gabriel takes lead vocals on only a few of these songs, bowing out usually to let a large array of guest musicians have starring roles. This is probably the reason many listeners find this album so disconcerting; they say it comes off as incoherent. One track is Celtic while another one comes from the Middle East while another one comes from Africa. These are intermixed with a handful of songs that come right out of Us. But isn't that, and the fact that every single song in here is great, what makes this album so intriguing? Every Peter Gabriel fan has to at least love the opening song, which is easily one of the hookiest songs Gabriel has ever written. The production job is sharp and dense, filled with enjoyable synthesizer textures and drum rhythms. Naturally, he makes his own voice overpower everything else, which is exactly what it should be doing. It's equally as appealing as anything in Us, and I know I'm going to be listening to that song forever. Another Gabriel-led tune is “Burn You Up, Burn You Down,” which is an infectious danceable tune reminiscent of “Digging in the Dirt.” These two songs alone makes this album positively essential for any Peter Gabriel fan. But don't be so quick to dismiss anything else! “Shadow” is like a glow of pure energy, and it's catchy as all hell. The lead vocalist is Congolese Papa Wemba who (forgive my description) sounds like what Joe Pesci would probably sound like if he could sing in a foreign language. You'll also hear Spanish guitarist Juan Cañizares in that track who raises up a storm with his frantically nimble fingered arpeggios. However, one of my all-time favorites of the disc is the Middle Eastern “Habibe,” which has a danceable beat, attractively twisty violins, and an Us-like atmosphere that's both exotic and awe-inspiring. That song is more than seven minutes long, but somehow it gets more triumphant as it goes along. The densely atmospheric “Rivers” almost certainly has a strong Asian influence. However, the lead singer Marta Sebestyen is Hungarian. This might be my most contentious “A” rating I've ever given since the song doesn't have a melody or a danceable beat at all; rather, it's 100% a woman singing bending notes amongst a wobbly sea of synthesizers and pan flutes. The reason I like it so much is, I swear, it soaks me up and transports me to a magical place. ...And aren't these kinds of “out of body” experiences the sort of thing music's supposed to be uniquely good for? “Jijy” is a driven rap song loaded with plenty cut-and-paste samples, which has a determined groove, dense atmosphere, and an utterly spirited vocal performance. I have yet to take to rap music (I guess listening to so much '60s and '70s gets in the way! ), but maybe there's hope for me yet? The laid-back and extremely tuneful title track ends the album, and its lead singer Karl Wallinger (also a member of The Waterboys and World Party) is also credited as co-producer the album. And his vocals are nothing but earthy and incredibly sincere. He might not be Peter Gabriel, but if he's not the next best thing, then who is? Another excellent singer you'll find here is a very young Joseph Arthur (one of Gabriel's proteges) who takes lead vocals for “Altus Silva,” which is a soaring and soulful tune with a strong Celtic flavor. Absolutely if you have a thing for world music and/or Peter Gabriel (usually those two things go hand-in-hand), then this album is an absolute must for your collection. I'll give this an easy 13/15. I don't think this is quite as good as Us, although it comes extremely close. And the world let out a collective "Uh-oh!" when Peter Gabriel announced that he was about to release a covers album. However, that “Uh-oh!” wasn't nearly as loud as the “Wha-oh!” that was emitted when Gabriel said the covers album would be recorded with a minimalist, classical orchestra and would have nary a guitar nor a drum in sight. However, as the world was making those gasping sounds, I was sort of sitting in the background and thinking to myself: Would it really be that bad? Considering that Gabriel's such a master at mixing and arranging complicated pop songs, who's to say that he wouldn't also be good at arranging minimalist, orchestrated songs? More than that, perhaps the idea of me enjoying an album like this isn't so out of the question; I went through this whole phase once when I kept listening and re-listening to a whole bunch of minimalist symphonies by famed composer Philip Glass. One such Philip Glass symphony happened to be called "Heroes", which was a work based on the David Bowie album of the same name. And guess what? Gabriel opens this album with a cover of "Heroes!" Truth be told, it ain't half bad. Although keep in mind that this happens to be a cover of my favorite song of all time that's sung by my favorite singer of all time! (That's an intoxicating combination!) At any rate, Gabriel's take on it isn't anything less than artful, and the orchestra is put to good use. The piece starts out somberly, and it begins a gradual dramatic upturn when a flurry of fast violins begin to fade in. Gabriel, of course, uses his great big voice to sing those lyrics, which are as moving as ever. I'd say this cover makes an excellent listen, but I will say one thing about it: It doesn't compare well to the similar-in-spirit interpretation from Philip Glass. Glass's take on it (even without vocals!) was positively riveting and a genuine reinvention; his orchestral textures were bold, fascinating and varied constantly. Gabriel's version, while enjoyable, comes across as a bit feeble in comparison. Another song that I think Gabriel did a pretty good job with was a cover of Talking Heads' “Listening Wind.” This is where Gabriel actually does vary the texture a little bit. It starts out with the string section playing short notes to resemble the sound of popping popcorn. He very gradually adds more violins to the mix, which helps give the song a push through to its enticing climax. It was nicely done and also a surprising song selection ...The exact opposite of this experience is his take on Arcade Fire's “My Body is a Cage,” which begins a miserable dirge and ends as a miserable dirge. (Not helping matters is that I was never wild about the original to begin with!) I find it difficult to not at least enjoy it a little--after all, that's Gabriel's soulful voice we're listening to. But that doesn't mean I'm not fighting the urge to yawn through it. On the other hand, his cover of The Magnetic Fields' “The Book of Love,” is striking; the original melody was excellent, and the orchestration here proves to be sweeping, which creates quite a bit of momentum as Gabriel soars through it. Coincidentally, less than a week before this track-listing was announced, I had become familiar with Elbow and I had placed their song “Mirrorball” on one of my never-ending iPod mixes. Imagine how delighted I was to find out that Gabriel apparently liked the song, too! The original is enchanting, and while Gabriel's version removes quite a bit of its glory, it nevertheless makes one of the album's most beautiful moments. While Gabriel's singing voice is surely one of the greatest to have ever been on earth, there are a few songs that simply don't suit him. One of them is Randy Newman's “I Think It's Going to Rain Today,” which completely lacks that torn, stinging quality of the original. Gabriel's version here, to be frank, comes off a bit pompous. Additionally, Gabriel's pretty voice took quite a bit of the edge away from Neil Young's “Philadelphia.” ...However, I would say the worst song of the album is his cover of Radiohead's “Street Spirit (Fade Out),” which plods along with a piano making extreeeeeemely sloooooow arpeggiations while Gabriel--likewise--sings about as slowly as he could. I've never been so bored listening to him in my life, and that makes me sad. Gabriel had originally intended for all the artists he'd covered to return the favor by covering one of his songs. These songs were then to be compiled and included in an album called I'll Scratch Yours. There was just one problem with that: He'd neglected to actually contact any of these said artists, and it turned out most of them had no interest in participating. (Only three musicians were sports about it: Stephin Merritt of The Magnetic Fields, Paul Simon, and Bon Iver.) ...I don't get it, though! If Peter Gabriel decided to record a cover of a song I wrote, I'd have been inspired enough about it to record an entire double album's worth of his stuff! ...But I guess that's why I'm a fanboy and not a pop star. The overall problem with Scratch Your Back is that all of these songs are so dang sombre and depressing. His biggest mistake here was to not vary the moods whatsoever. And while the orchestration is OK, I don't think he went far enough with it. Even though I find a few of these songs to be just the ticket, this album as a whole doesn't end up inspiring too many re-listens. 10/15. The reason this album is more recommended than its predecessor is simply that Gabriel seems far more at home singing his own songs. I mean, “Rhythm of the Heat,” “San Jacinto,” “Intruder,” “Digging in the Dirt,” etc. ...If Peter Gabriel really has to ruin songs with these minimalist ambitions, then at least they're his to screw up! And, to be honest, he doesn't really screw up these songs; he only renders them into slightly more boring states. In other words, don't expect to find that he'd improved any of his songs in this format. But do expect some of these renditions to be excellent, such as the remarkable opener “Rhythm of the Heat.” It begins very quietly with a sustained cello note before the orchestra gradually builds up tension all the way until it finally achieves its furious conclusion. ...Although the build-up of tension isn't completely gradual; along the way, there are a few notable “peaks,” such as an orchestral flare when Gabriel belts out “The rhythm has my sooooooooouuuuuuuul.” While the song doesn't even touch the original, as someone who actually likes the original, I'd have to say this alternate version is a novel thing to hear. “Downside Up” is a lovely selection from OVO, and it comes off almost... er... regal? That dense texture that eventually shows up in there with the french horns and violins strikes me like listening to Handel's Water Music. Perhaps a point of interest there is that his daughter, Melanie Gabriel, sings back up vocals, and she's not too bad! My only criticism of it is that, strangely, it doesn't mesh together terribly well with Peter's voice. Another song I enjoy here quite a bit is “Intruder,” which features tensely scaling strings, horns, and evil bursts of timpani drums. My favorite orchestral rendition of them all here is easily “San Jacinto,” which suits the orchestra like nothing else. The first part of the song consists of a twinkling texture created with a piano, xylophones, and pizzicato strings, but then the orchestra suddenly turns sweeping as Gabriel sings majestically those glorious lyrics “I hold the line - the line of strength that pulls me through the fear.” This almost (note I said almost) has the same effect on me as the original version. “Wallflower” is another excellent rendition of a song from Security, and that has turned into a passionate piano ballad with a full string orchestra behind him. There are also plenty of selections here from So, which makes sense considering that's his most popular album. Unfortunately, these constitute the weaker points of the album--that is with the exception of a terrifically rousing rendition of “Red Rain!” But then it's just “In Your Eyes,” “Mercy Street,” and “Don't Give Up,” ...Zzzzz. Another minor complaint I have is the album closer, “Solsbury Hill,” which is only just adequate. On a lighter note, some of this album strikes me as amusing, such as “Darkness,” which features a bit of funny playacting as Gabriel starts grumble-singing. For the most part, I'd say New Blood is neither terribly boring nor miserable, and there's quite a bit of joy and excitement found on this disc. 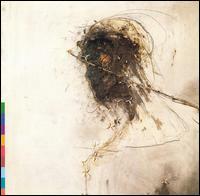 Not only does that mean this album surpasses Scratch My Back handily, but I'd also say is an overall recommended find to Peter Gabriel fans. The only part about this album that confuses me is the album's only all-original track, “A Quiet Moment,” which features nothing but ambient seashore sounds and birds chirping. It's also a little too quiet; when I first listened to this, I was wearing headphones and I had the volume turned WAY up. But then I'd forgotten I had the volume up that high, and I was subsequently deafened when the following track popped up. ...Anyway, I'll give this a weak 11/15.